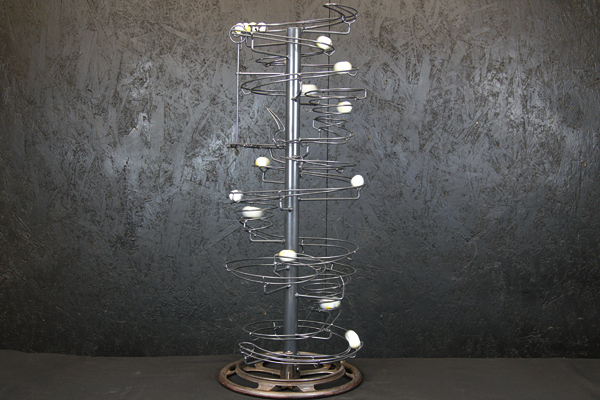 A single track rolling ball sculpture with semi-automated release. It features three conical spirals. It measures 300mm round and approximately 800mm high. Powdercoaed in steel pearl with an old cast iron base.